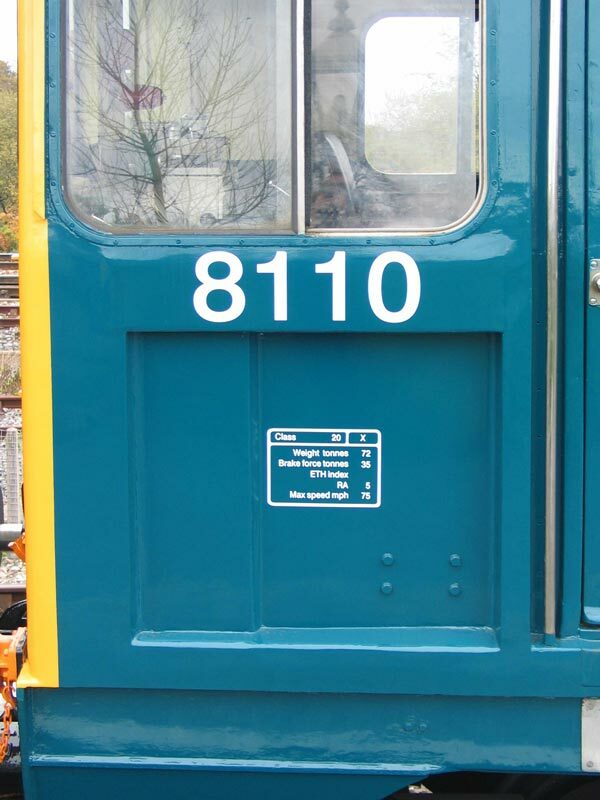 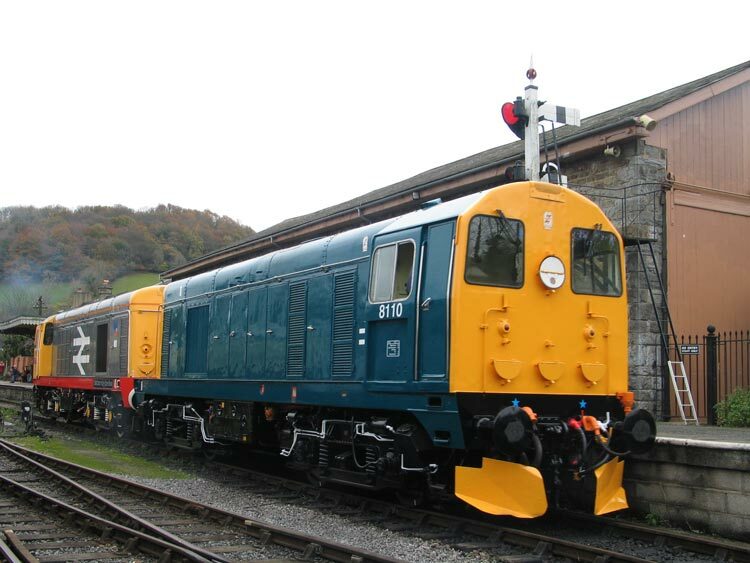 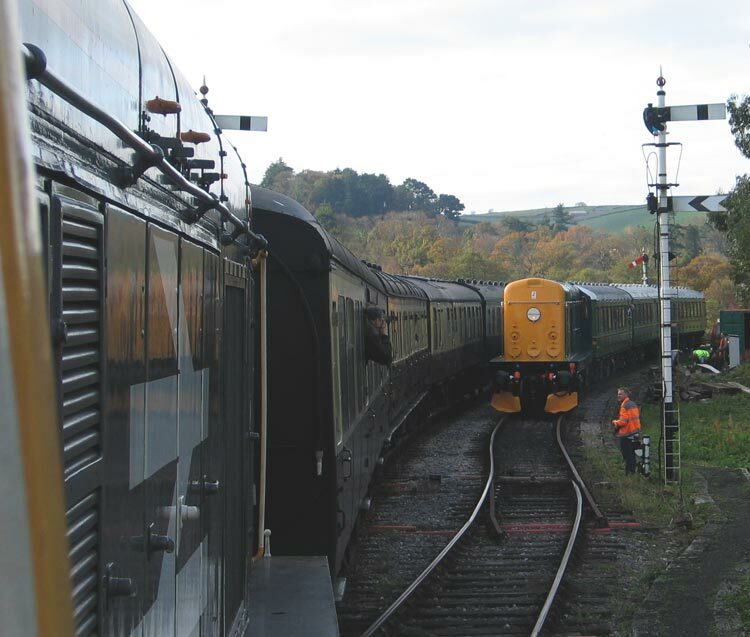 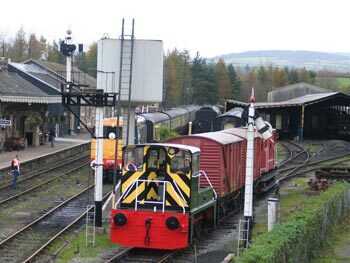 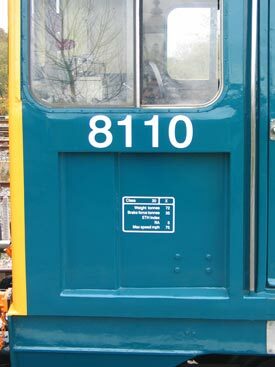 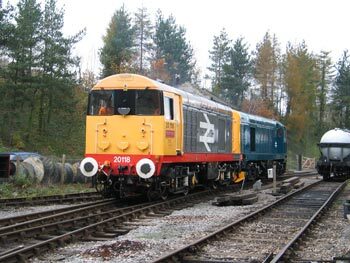 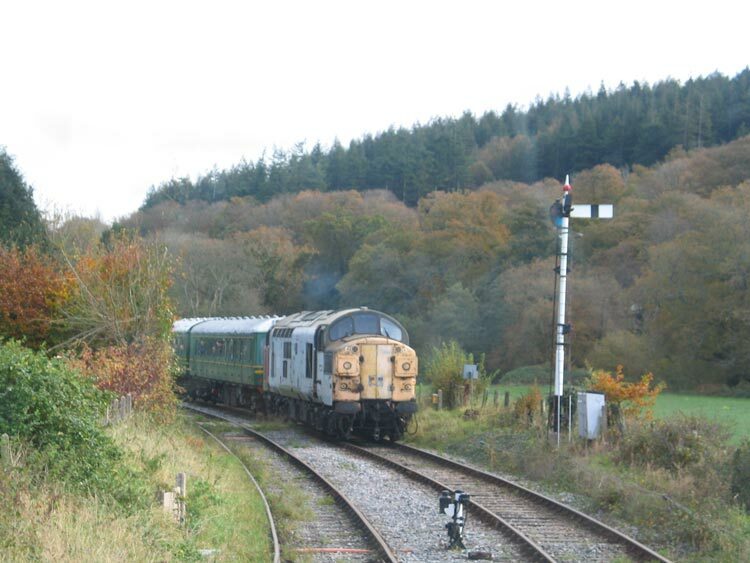 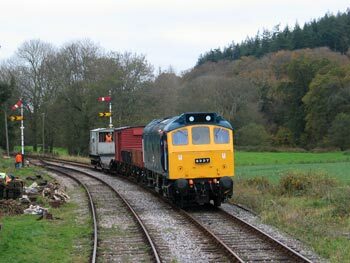 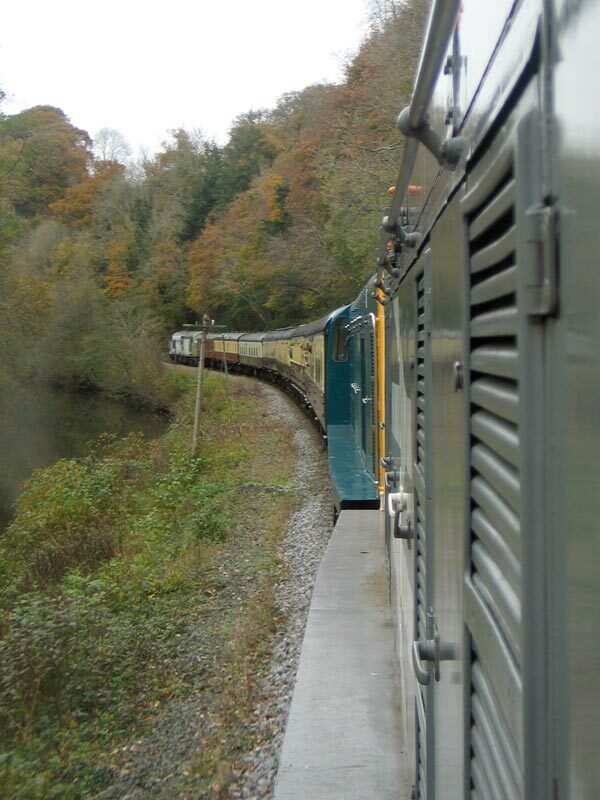 On November the 6th & 7th we held a "gronk aid" diesel gala to raise funds to restore "gronk" 09002 or D3666. 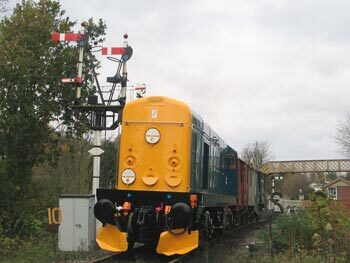 It went well, the only casualty being the class 14 'teddy bear' that broke it's starter motor just before the gala. 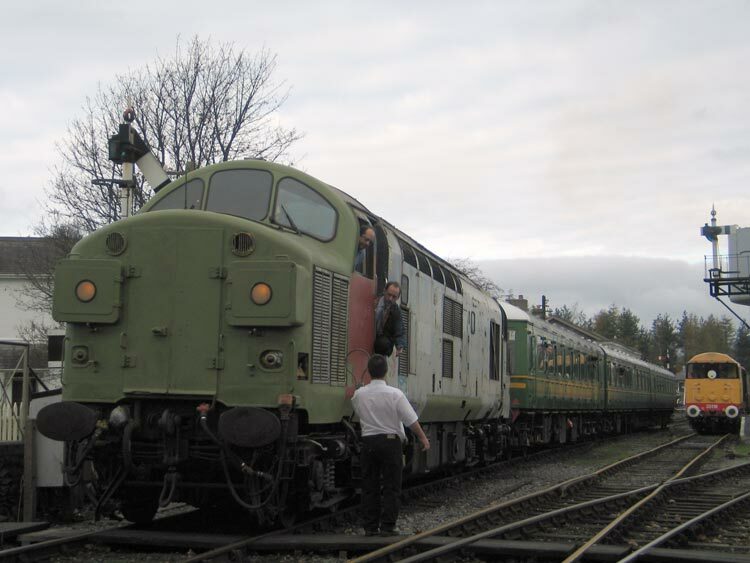 The 04, D2246 was in action doing mini driver experience. 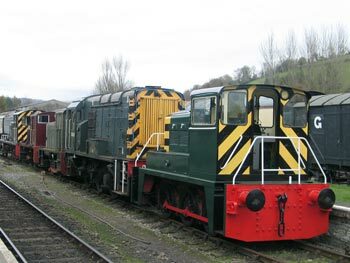 The yorky (yorkshire engineering 0-6-0) looked good in it's new coat of paint and wasp stripes and worked some small pickup goods trains. The two 20s, the 25 and the 37 shared the passenger work. 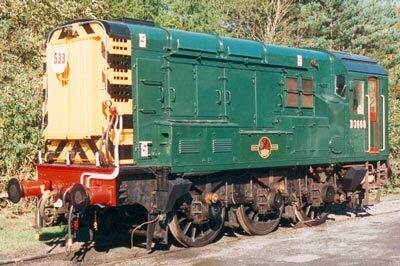 The 20s worked half the time singly (to cover the 14's diagram) and half in multiple. 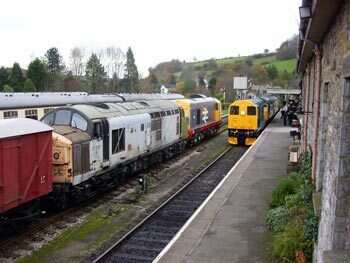 Plenty of trains ran, plenty of people appeared, plenty of beer was drunk and the last I heard £3,500 was raised to help restore the gronk. 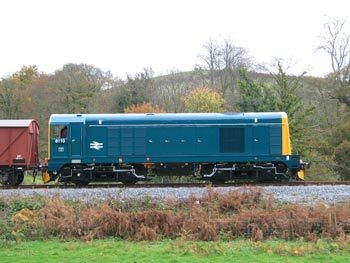 Though this may not be the final figure. 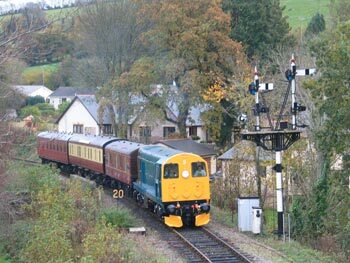 Another successful weekend, many thanks to everybody who helped organise it and who supported it. 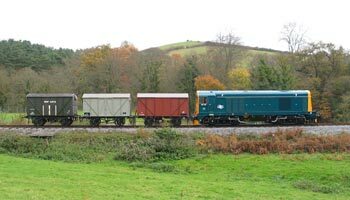 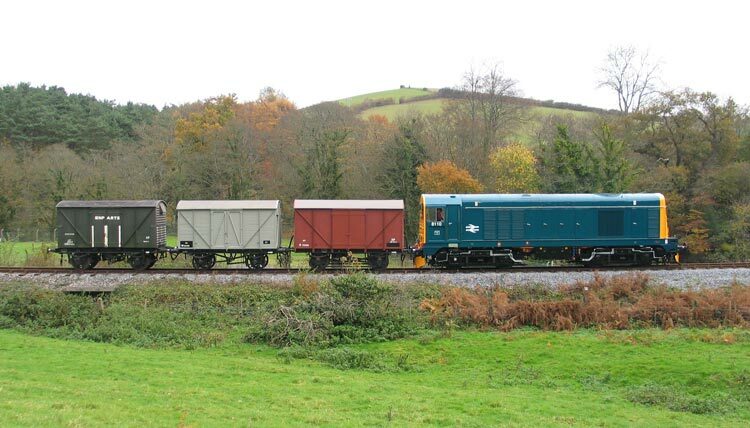 Shunter line up at Buckfastleigh. 8110 and some vans runs up to Nursery Pool. 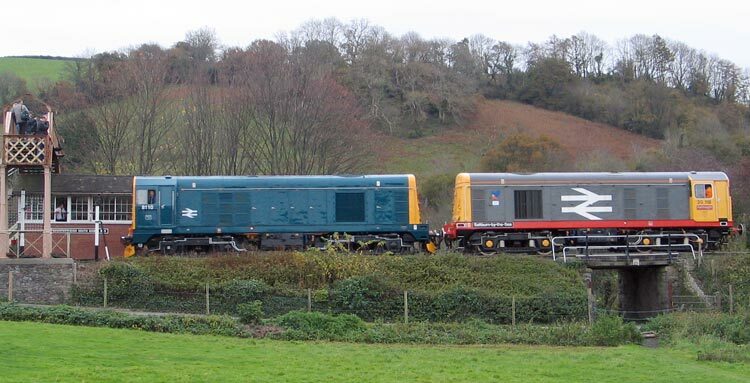 37 037 in Bishops Bridge Loop. 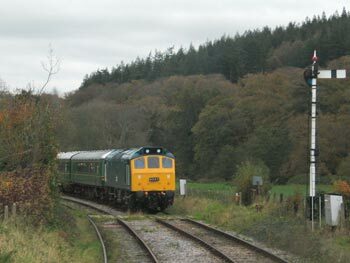 The Yorky departs Buck with a goods, Staverton Bound. 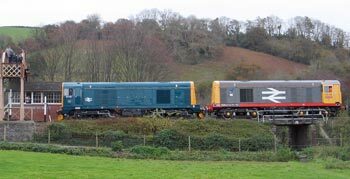 A trio of English Electric's Finest! 8110 approaches Nursery Pool Bridge. 25 901 arrives with a passeger train into the down Loop. 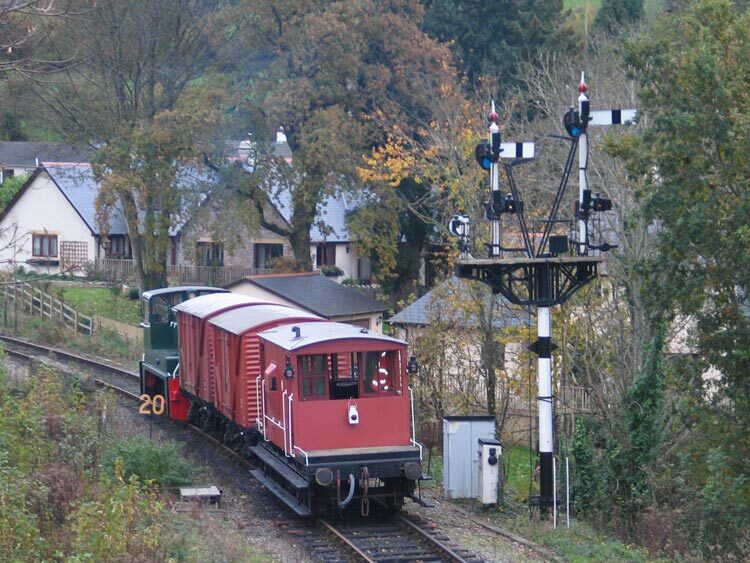 The Yorky Departs Buck with the Goods. 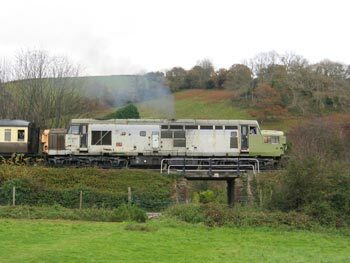 20 118 crosses 8110 at Bishops Bridge Loop.